The wireless world we live in is aging us faster than we realize. Wireless devices in our daily lives including cell phones, cordless phones, and wireless routers expose us to more radiation than our body is equipped to handle. Constant radiation exposure can lead to free radicals becoming rampant in the body. This causes damage to the cells in your body resulting in negative effects including chronic fatigue, sleep disorders, and premature aging. Many fresh whole foods are a natural supply for antioxidants. Throwing some chopped tomatoes into a summer salad is a tasty way to gain the benefits of health-protective antioxidants including vitamins C and A and lycopene. Use fresh spinach leaves as your base and add other antioxidant-rich ingredients like strawberries and pecans and you have an easy on-the-go lunch loaded with taste and healthful goodness. Many people will reach for potato chips for an easy and crunchy snack, but there aren’t many health benefits with that choice. Snacking on baby carrots can give you the same crunchy satisfaction while also giving you a burst of antioxidants. Try dipping them in hummus for an easy protein boost. Even the most health-conscious people can have days or weeks that make it hard to reach basic health goals, and even the healthiest people need extra help when fighting free radicals and maintaining a strong immune system. 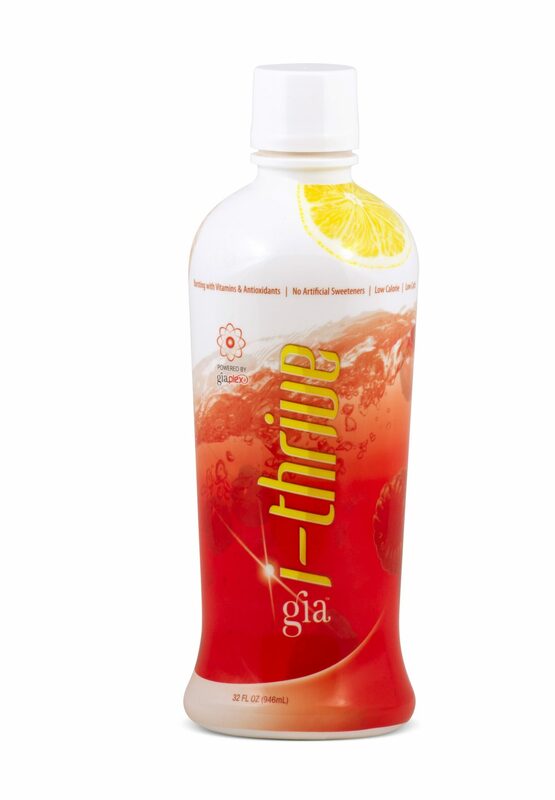 i-Thrive is formulated with 50,500 (ORAC) units of antioxidants. Containing several whole-food ingredients like tomatoes and blueberries, it also includes harder to find ingredients like cili fruit, which has 60 times more vitamin C than an orange, earning it the title of “King of Vitamin C.” Adding this to your daily regime can help give you more energy throughout your day, while also replenishing and nourishing your body, perfectly complementing your nutritional efforts. Try starting your day with a powerful mix of antioxidant-rich berries blended into a delicious smoothie. Choose berries like strawberries, cherries, acai berries and lots of blueberries which are known for their high-antioxidant potency. Green tea is known for having a strong supply of antioxidant nutrients including polyphenols, catechins and gallic acid, which are keys to unlocking important health benefits. Green tea is also a natural source of caffeine with the proven ability to aid in healthy weight loss. Integrating these simple yet effective dietary habits into your life can help you reach your recommended daily antioxidant intake with ease, simplifying good health and combating those harmful free radicals from your everyday technological devices.